Talking about programming and tech. After getting bottlenecked by UE4 on the last ECS battle simulation Link , I decided to create one on direct C++,using an engine written by me. 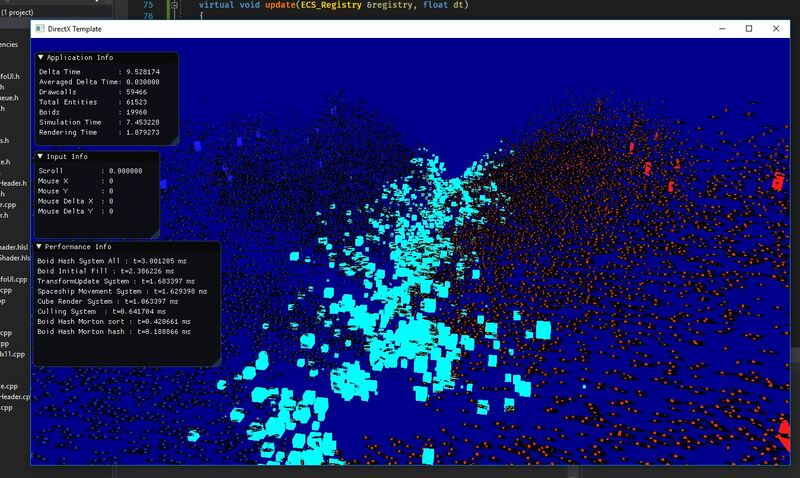 The new simulation simulates 130.000 entities at 60 fps on my Ryzen machine. It is designed in a way that it almost scales linearly with cores. Video Inspired by the new Unity ECS system, i decided to try those same techniques with UE4 and C++ instead of Unity and C# . For my experiment, i used the library EnTT to drive the ECS.